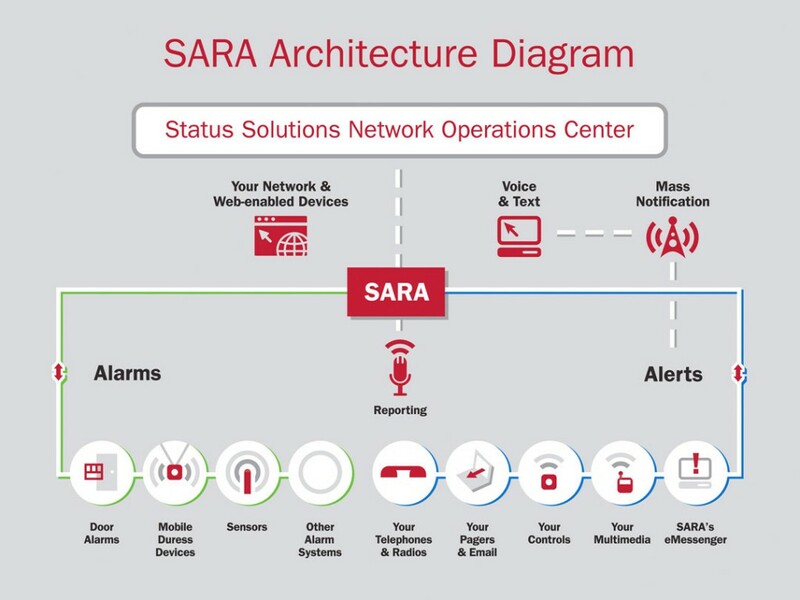 The Situational Awareness & Response Assistant (SARA) is an automated alerting system and awareness engine that sends voice and text alerts via phone, pocket pager, email, computer screens, wallboards, etc. SARA provides wireless emergency call and integration tools for the LTC facility. Mass notifications in a single technology platform are available, enabling an LTC community to turn all of its notifications into managed alerts. The Roam Alert ECO Door Controller monitors an exit from a facility with the aid of the Roam Alert Wrist TAG. The system provides freedom of mobility to residents in senior care facilities , whilst ensuring they remain safe. The ECO Controller generates an exciter field, which defines the door coverage area for resident TAG’s. When a TAG enters the Controllers exciter field whilst the door is open a Wanderer alarm is generated; if the door is closed then the Controller can activate a MAG lock to hold the door closed. The Door Controller may be bypassed without alarming, by a staff member if a resident has to leave the facility for an appointment. For remote door locations a staff alert panel can be used that converges all alarms into one central location. The TAG can be worn on the wrist or around the ankle. It is a sealed unit that is waterproof and is attached using Roam Alerts patented tear proof band. The TAG lasts for approximately 3 years and would need replacing after this time.